Learn your States and Capitals of the USA! Break the walls of the patriarchy AGAIN! This game requires some knowledge of the United States. If you aren't from the USA, I don't mind if you print off a cheat sheet. If you're from the USA, I mind if you print off a cheat sheet, but, you know, it's fine if you do. YES, if you want to put this on your site I included the MMF2 file because I don't have the flash/html exporter. 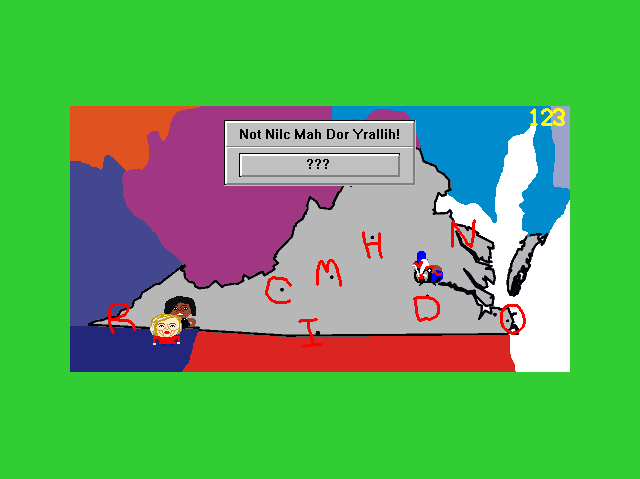 Can you beat this incredibly American Puzzle-Adventure? Remember, if you don't get and play this game, you aren't patriotic enough!